I tell him, “No, this is made by Samsung.”. The Gear S is the most nicely designed smartwatch out of all the latest flagship smartwatches like the Motorola 360, LG G Watch, G R Watch, and Gear Live. 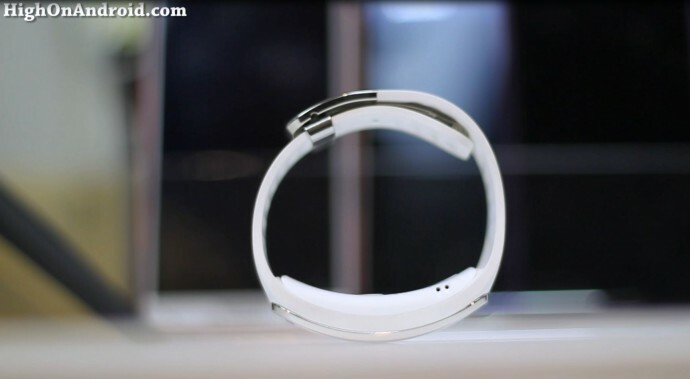 It has the world’s first curved screen on a smartwatch along with a whopping 2-inch AMOLED screen. 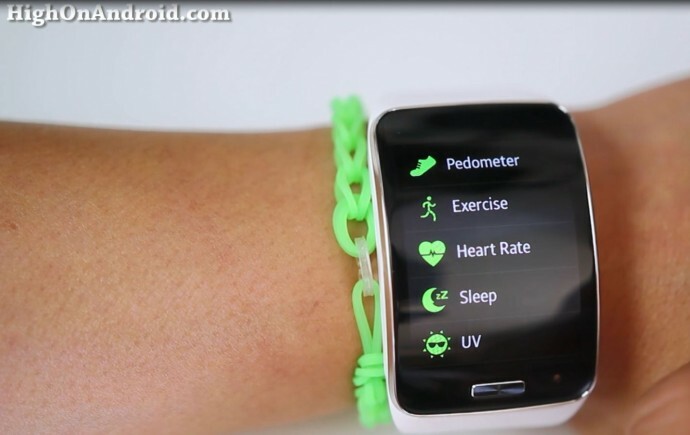 The 360×480 resolution is also the highest among them all, making the Gear S the king of smartwatches. Even without turning on the watch, you can tell the Gear S stands out above the crowd when compared side-by-side. 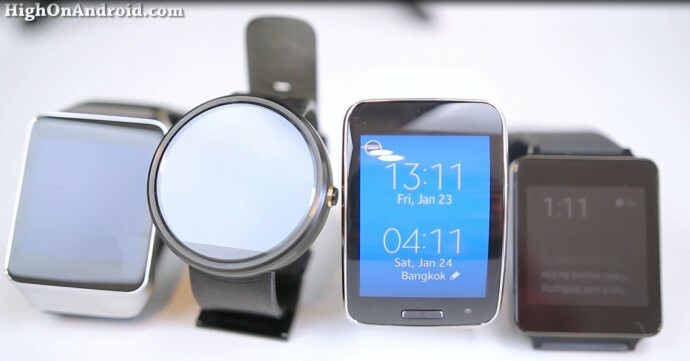 Many smartwatches these days have that same, boring look either rectangle or circle. With the Gear S, you will get a super-sleek and curved screen, something literally out of science fiction. The curved screen makes it possible to wrap around your wrists naturally while extending your display size as big as possible. And I really like the home button. 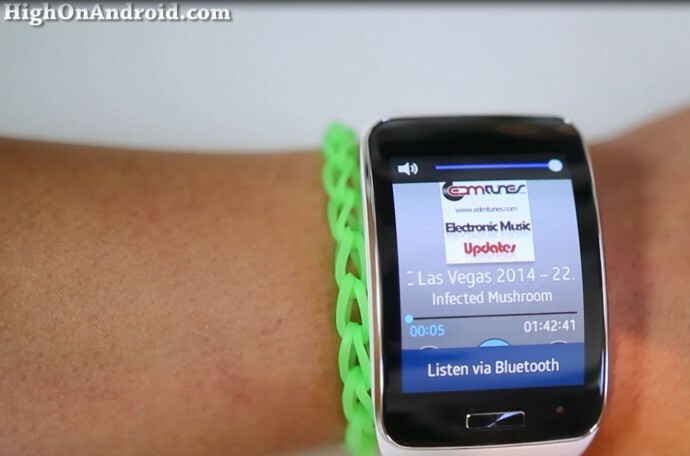 It’s like having a mini Note phone on my wrist! The Gear S’s core feature is the large screen, allowing you to easily browse through your home screens, just like a smartphone. You can even easily switch between apps just like your phone. In fact, Gear S isn’t a smartwatch, it’s a smartwatchphone. Unlike other smartwatches, the Gear S does not run on Android Wear, it’s not an Android Wear watch rather it runs the Tizen OS. I don’t think it matters too much what software the watch runs so long as you can connect with an Android device. Of course, Gear S can only be setup with a Samsung Android phone, which I wish worked with any Android smartphone. Gear S apps? Actually not that bad at all, Samsung Gear store has plenty of apps to kill time, it has just as many apps or maybe more than Android Wear apps. Some of my favorite apps include the compass, calculator, and Voice Memo app, which is awesome as it automatically transcripts and saves your memo as a text file on your phone. I actually used this feature to make the script for this video. 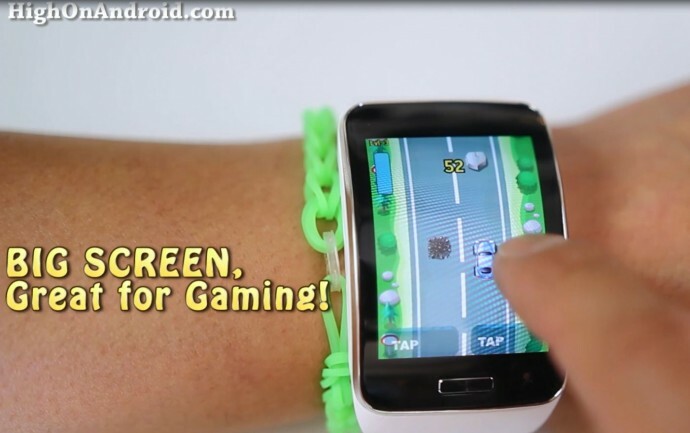 Games are a lot more fun to play on the Gear S as the screen is almost double the size of other smartwatches. Whether you are playing an action game, card game, or simple tic-tac-toe, the Gear S has been designed to run games well period. Want to type of your watch? Normally I don’t like typing on my watch but yes, if you use this as your primary phone device, you can get back to your family and friends without a phone. Now, I actually don’t use it as my primary phone device. The feature is definitely there but I think the main reason why you would buy this watch is the design and the large curved screen that let’s you do more than other smartwatches. You can easily pair it up with your bluetooth headset and use it with your phone, you don’t need to use the phone feature if you don’t want to. The Gear S also comes with built-in microphone along with a speaker, you can make phone calls or listen to your favorite music all by itself. Battery life is also excellent. I can get a full day and a half on normal usage and near 3 days of battery life with notifications turned off. Better yet, you can turn on its power-saving mode to get double/triple the battery life by using it in black and white mode. 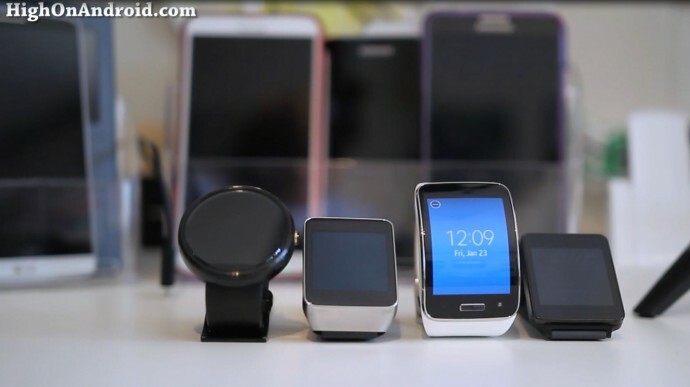 If you don’t like charging your smartwatch everyday, the Gear S might just be for you. So what’s missing with Gear S? 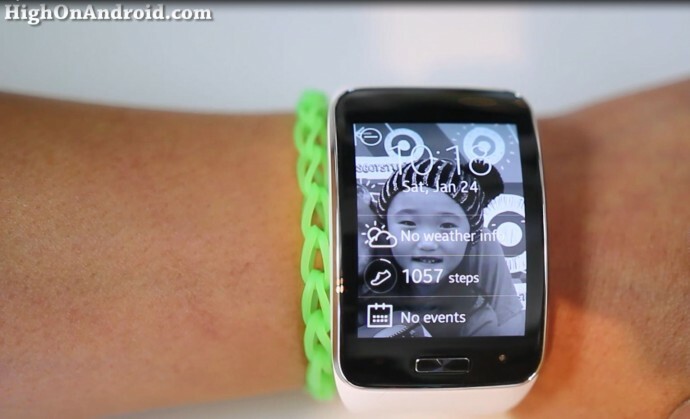 To setup the Gear S, you need to have a Samsung phone with the Gear app. Otherwise you are stuck with a brick. Of course, if you own a Samsung phone, this probably isn’t a big deal but if you don’t, that’s the only thing holding you back from getting one. 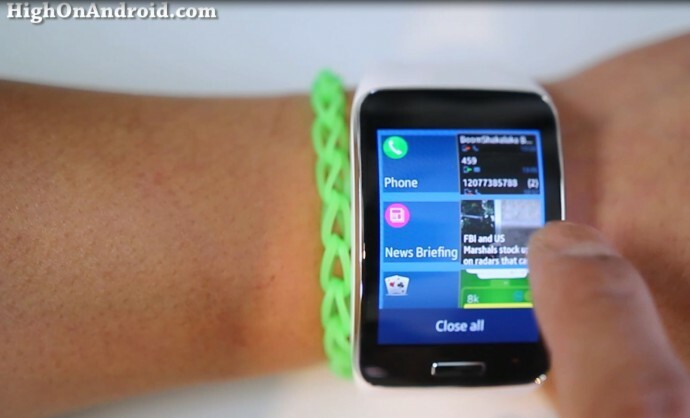 Once it’s setup though, the Gear S can be used alone by itself. Overall, I am not 100% happy that it’s not Android Wear but if I had to choose one smartwatch. it would be the Gear S. It looks soooo much better than everything else, and it IS better, makes others like watches from a distant past. And I am one of those guys who would choose Android Wear over Tizen but in this case, Gear S has really done it, it’s a beautiful watch regardless of Tizen. If you are looking for a smartwatch that’s got a beastly specs and has the world’s first curved screen, Gear S is definitely the way to go. It’s gonna turn heads where ever you go and a great way to start conversations. So, save up your money and get THIS, it’s worth your money and time, that’s my final advice and this is my daily driver. Thanks for sharing all of this. What is the name of the game you demonstrated with tapping a car, switching lanes? 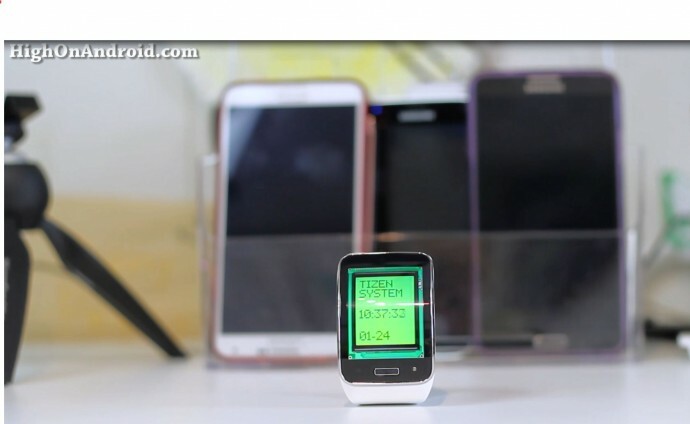 I would like to try that one on my Gear S.
Next story How to Replace Galaxy Note 4 Screen! Previous story S-View Flip Cover w/ Wireless Charging for Note 4 Review!